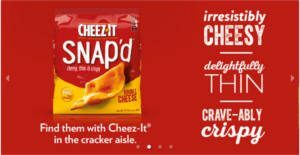 Apply to be a Chatterbox for Cheez-It Snap’d. 1825 Chat Packs are available. Apply now and if selected, they’ll deliver a Chat Pack right to your doorstep.